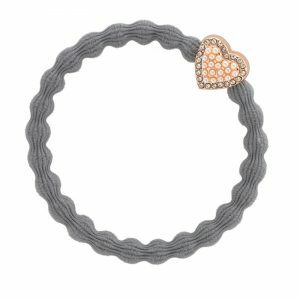 A heart in rose gold with pearls and diamantées. 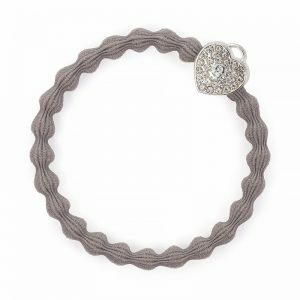 Silver Diamante Heart Lock on Cloudy Grey bubble elastic hair band. 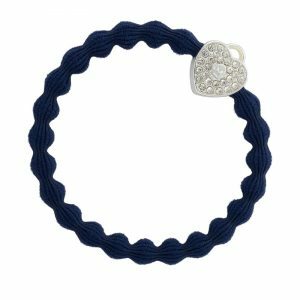 Draw attention to your hair with this stunning and sparkling heart lock.